Plain Wedding Rings	There are 40 products. Shop for Wedding Rings at Macintyres of Edinburgh and save up to 50% off high street prices! All of our plain wedding bands are of medium to heavy weight, hand-finished in our UK workshop and available to order in all precious metals, colours and purities. Free UK Delivery & 30 Day Money Back Guarantee. A hand-finished court wedding ring 2.5mm wide. A court ring is the classic wedding band, often known as a comfort fit due to its slight camber, both inside and out. All Macintyres&apos; court rings are medium to heavy weights depending on finger size and are available to order in all precious metals, colours and purities. A hand-finished court wedding ring 4mm wide. 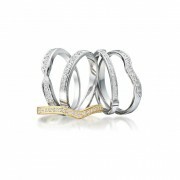 A court ring is the classic wedding band, often known as a comfort fit due to its slight camber, both inside and out. All Macintyres&apos; court rings are medium to heavy weights depending on finger size and are available to order in all precious metals, colours and purities. A hand-finished court wedding ring 6mm wide. A court ring is the classic wedding band, often known as a comfort fit due to its slight camber, both inside and out. All Macintyres court rings are medium to heavy weights depending on finger size and are available to order in all precious metals, colours and purities. A hand-finished court wedding ring 2mm wide. A court ring is the classic wedding band, often known as a comfort fit due to its slight camber, both inside and out. All Macintyres&apos; court rings are medium to heavy weights depending on finger size and are available to order in all precious metals, colours and purities. A hand-finished court wedding ring 2mm wide. A court ring is the classic wedding band, often known as a comfort fit due to its slight camber, both inside and out. All Macintyres court rings are medium to heavy weights depending on finger size and are available to order in all precious metals, colours and purities.